Waking up at 11:18 a.m. The power has been out since 9 a.m. I've had to leave the window open and force myself to listen to the thundering jet noise every five seconds. Greek Yogurt with Grapes and a Grapefruit. Ana's new iPhone 5c came in the mail to replace her green tea damaged iPhone 4. Helping her set up everything. 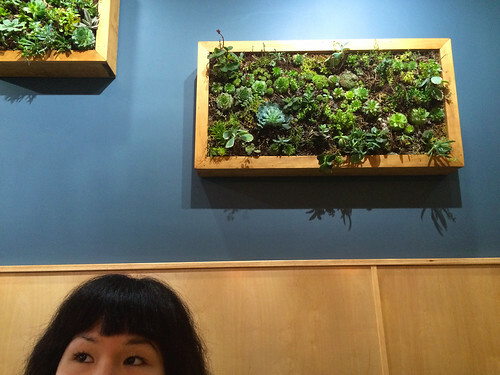 Trying out the brand new Stockpot restaurant on 19th Street with Ana. 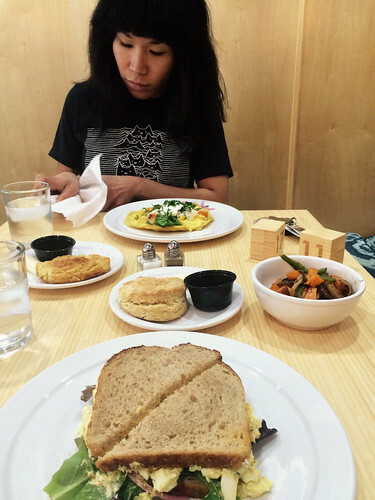 I order the Egg Salad Sandwich with a Rosemary Biscuit and Sweet Potato Hash. Reasonably priced and semi-fancy. Teaching a bunch of vocal lessons at Music Makers. Back home. Ana and I tear up the kitchen – she prepares bread in the bread maker and then we cook dinner together. Norwegian Salmon with Kale, Carrots, Onions, Peppers, and Pink Madagascar Rice. 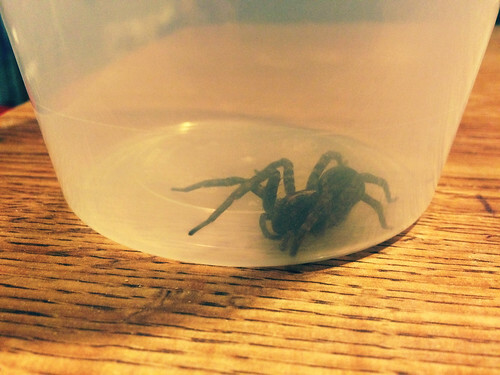 An unexpected dinner guest shows up on the floor: a huge spider. I wrangle him into a plastic container and we take a closer look. Both of us feel exhausted early on in the night and we can't figure out why. There wasn't much sun out today. I plop on her bed and request a light foot massage. Then, we decide to go to the music space to jam. Back home. Filling our cravings for bread. "I'm sorry. I just feel like I want to get everything in my life together." "One piece at a time," I reply.